Walmart And The Elite’s Massive Underground Facilities – Coercion Code – "Dark Times are upon us"
Here is a bit of a background on the HUGE TUNNELS BEING FOUND AROUND THE COUNTRY LEADING TO A MASSIVE NETWORK OF UNDERGROUND MILITARY FACILITIES. Walmart could well be gearing up to become a governmental Distribution Center in an emergency (created or otherwise) or in a martial law scenario. In that kind of situation, Walmart could be the hub (like Camp FEMA) where people are being sent to be FORCED VACCINATED, where dissidents and activists are being sent to be FORCIBLY DETAINED, or (I hope it would never come to this) where the public is being sent to be FORCED MICROCHIPPED. It also unsurprising to those who are paying attention that Walmart (in this video) is using local police to guard its perimeter – further proof that Walmart is joined at the hip with the Federal Government, and also evidence that Walmart is hiding something pretty big. Could Walmart Be Connecting Itself to the Underground Tunnel Network? Phil Schneider was a brave whistleblower who had firsthand knowledge of America’s vast underground tunnel network. He personally worked in the DUMBs (Deep Underground Military Bases). Due to his courage in speaking out, he was “suicided”. 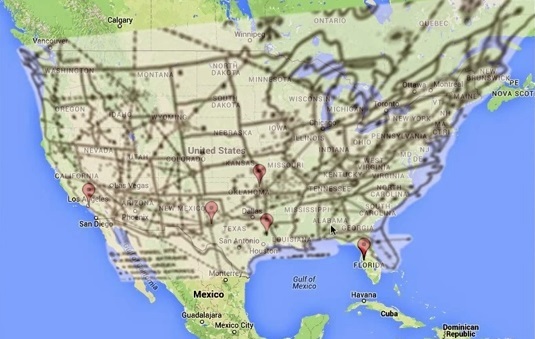 However, thanks to him and others, we know the underground tunnel network is extensive; we know it connects to the New World Order airport of Denver, Colorado; and we know thanks to other truthtellers like Steven Kelley that these underground tunnels don’t just connect to military bases and installations; they also connect to the rich houses of the elite (Kelley talks about the underground tunnels connecting to houses and the Getty Museum surrounding Los Angeles in this video). Other people have captured great videos of truck drivers entering the underground tunnel network with supplies. These tunnels are VERY real. As always, I do not profess have the answers… quite the opposite… I will pose even more questions than before… but the more patriots who are aware of the fact thatSOMETHING is going on, even if we don’t know precisely what, the better chances we all stand when the time comes. I also have VERY CREDIBLE information suggesting that the FORMER GREEN BERET in my previous article was DEAD WRONG in his assessment of Jade Helm. Remember, his assessment made NO MENTION of the Walmart or the tunnels, so as credible as he seemed, it was obvious he was missing some information. 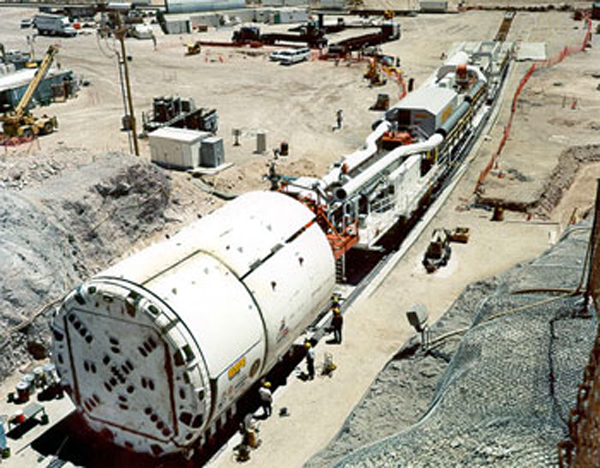 I’ll get to MORE DEVELOPMENTS ON HOW THESE TUNNELS TIE INTO JADE HELM in a subsequent post. I don’t think enough has been said about what Pete Santilli reported (below) on his radio show about his own family’s involvement with FEMA & Walmart dating back to hurricane Katrina, and the transformation of Walmarts into emergency military or distribution hubs. In the show notes it says the following: Pete Santilli & Dani Mcpherson cover the news regarding the mysterious and sudden closure of 5 major Walmart Super Centers. In addition to the numerous reports in the mainstream and independent media, Pete adds some additional interesting information regarding WalMart’s relationship with the Department of Homeland Security dating back to Hurricane Katrina. In this video Pete displays a picture of WalMart’s “EOC” (Emergency Operations Center), and comments about the EOC looking more like an NSA command center. Pete’s family member (brother) worked directly for Walmart Corporate headquarters in Bentonville Arkansas, and informed Pete about WalMart’s relationship with the DHS. During Hurricane Katrina, the DHS coordinated heavily with Walmart since they have the resources to distribute disaster relief supplies. Since then, Walmart has also worked directly with the DHS by installing pinhole facial recognition cameras in their stores, scanning customers, and uploading/sharing the data with the Federal government. FOR MORE NEWS BY VOICE OF REASON CLICK HERE! D.H.S. knows that at some point in their lives, 80% of all Americans will enter a Walmart, so as far back as TEN YEARS ago, Walmarts began installing FACIAL RECOGNITION SOFTWARE in all their stores, and that information gets directly uploaded to D.H.S. as part of standard practice. Take a look into what appears to be NSA headquarters below, when in fact, it is really just a glimpse at how state of the art Walmart has become at intruding into your life, and then reporting you to Big Brother. With all the cameras out there in society today, I’d say once you’re in that “SYSTEM,” you have almost ZERO possibility of staying “OFF THE GRID” unless you live MILES from the nearest human being. Otherwise, no matter how self-sufficient you are, chances are you’ve been in a Walmart in the last ten years, and chances are you’ll come in contact with at least one other camera with facial recognition software throughout your day. Now the government can track your moments without even telling you. When stories like: AUTHORITIES ARE SECRETLY TURNING ON LAPTOP CAMERAS WITHOUT WARRANTS AND WITHOUT THE INDICATOR LIGHTS COMING ON, I think it’s safe to say if you’ve owned a laptop or been on Facebook in the last 5 years, you’re “IN THE FACIAL RECOGNITION SYSTEM” already. No sense in avoiding the convenience of Walmart when they almost certainly have you anyway. You might want to also check out my post titled: SECRET GOVERNMENT SURVEILLANCE HAS LINKED ALL CAMERA SYSTEMS TOGETHER, AND THEY KNOW WHO AND WHERE YOU ARE. Due to the enormous amount of emails & PMs received on the tunneling project, I’ve compiled a synopsis with the corresponding links.Hope all this helps. The tunneling project is a joint venture involving the National Security Agency, CIA, FBI, MiB, Homeland Security & a few other groups that are buried in the Congressional Intelligence Committees with some weird acronyms no one really understands. Much of the info on this comes from private citizens in the county, public officials, as well as Coast to Coast with George Noory & Art Bell!. These shows have given incredibly good information on the topic for the last several months, beginning in late 2003.According to the information available, there are several reasons for the project: 1) Homeland Security needs an system of rapid deployment in the South, free of traffic; 2) certain gov’t agencies want an easy connection route with other gov’t installations in the South; 3) there is a move on in the intelligence community to begin more efficient use of the underground rail system already in place at Lockheed in Marietta; 4) Paulding is a central location for the complete project that will eventually connect installations in Anniston, AL; Macon, GA; Lockheed in Marietta; Lookout Mtn, TN; Greenville-Spartanburg, SC; & Raleigh-Durham, NC; 5) the Yorkville area of Paulding has been designated as the prime location for these hubs to come together because of geological preference; 6) the addition of new Walmart facilities in NW GA give spur hubs & depots easy access to large areas that can be partitioned off for moving of very large equipment & large numbers of people in case of national emergency. The intent of the project is to provide another area similar to Area 51 in New Mexico where testing can be done in a more secure domain. While there are several smaller sites like this in the US(Click here for similar project info), this project is the first on such a grand scale. But the main reason the project got off the ground is that the Congressional Budget for 2004 provided several line items for the Homeland Security Dept projects. When these line items were actually mentioned on the floor of the US Congress during budget discussions, VP Cheney abruptly adjourned the session. There were then several high level meetings about these line items (according to Art Bell) & when the Congress met the next day, these line items were no longer listed in the budget but were simply buried in the National Security Agency’s funding. The very next day, Governor Sonny Perdue met with the National Security Agency folks in Rome, GA, for some more talks (you probably heard about those meetings on the news). After the budget was passed, the skies over Paulding were inundated with helicopters from the Army Corps of Engineers & others doing aerial surveying & topographical mapping. It was confirmed what was already known & the tunneling project began immediately in Yorkville about a year ago. Many of our neighbors (including my parents, Firewalker, & others) have been approached by some gov’t types & ordered to either stay away from the project or sell out. Many of these folks have sold & the land was purchased by various gov’t agencies, usually very quickly. The Walmart that will be going in on HWY 120 is supposed to be the first in the series of staging areas. It was chosen because of its central location to the entire project & the main hub designated for Yorkville. As new Walmarts are built, more staging areas will be added to each new store as well as to existing Walmarts. These stores have extremely large parking areas & that means the various gov’t agencies can use these facilities to move large equipment rapidly, especially to & from Lockheed. The Homeland Security use is just obvious — ability to move large numbers of troops & high ranking officials in a moments notice while unhindered by traffic & other logistical problems. The blasting that is being done now has been felt & heard by several Paulding residents, including some minor basement damage to some homes. The project must be moving along rather rapidly since the trucks are working 24/7, including weekends. According to Mr Chairman (Click here for his quote) , the project is moving quite well & anticipated to be saving quite a bit of the county’s money. The intent, of course, is to use the general aviation airport here in Paulding as part of the “rapid response” program for the Homeland Security Agency, among other gov’t groups. 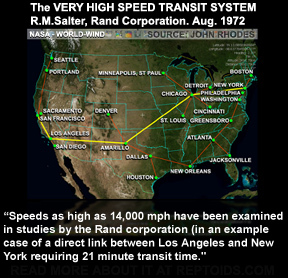 As far back as 1972, the LEAD SCIENTIST for the RAND Corporation said we had the technology to drill the tunnels. We also own the patents on such technology. The RAND Corporation is a nonprofit global policy think tank originally formed by Douglas Aircraft Company to offer research and analysis to the United States Armed Forces. We also know that there is a definite possibility that NASA will be utilizing the tunnels for movement of materials to Anniston, AL, & Lookout Mtn, TN, because if the proximity to their installation in Huntsville, AL. All this means a lot of construction & gov’t workers are moving into the Yorkville area to get the main hub completed as quickly as possible. Ivan did flood the tunnel but I understand there were no injuries & the project is back underway only 24 hours after Ivan came through. Several other projects are going to be the direct result of this: YAMSU; project to build an artificial river in Yorkville with a dam (supposedly for the power generation of the entire tunnel/rail system) much like the Ocoee River; general aviation airport; spurs of the tunnel to the Silver Comet Trail (also for easy access to move light equipment/people without traffic; spurs to the Cartersville Airport & the Bremen distribution center for Walmart. This should mean a lot of money will be flowing into the county over the next 50 years or so. Why do you think that Trillions of dollars are missing? The 1% is planning to kill off the excess population. Pingback: Is Mandatory Evacuation of One Million SC Residents for Hurricane Matthew Doubling as a Martial Law Drill? so what did they do with all the dirt? Rock would have been the by product (not dirt so much) which would have been used in roads and construction.